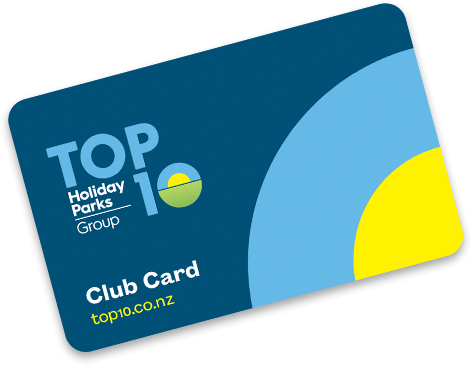 Make us your first step to unwinding in sunny Hawkes Bay - we put the park back in Holiday Park, with 10 acres of beautiful park-like grounds, privately tucked away in the centre of Hastings in Hawkes Bay. Napier and Havelock North are also an easy drive away. Private spa pools, heated outdoor swimming pool, shady tree-lined avenues, beautifully landscaped grounds and lake make this park a relaxing, enjoyable holiday setting for everyone to share. We have an accommodation option for every budget, from tent and powered sites, cabins, park motels and self-contained apartments. We also specialise in group accommodation, with a fantastic friendly team dedicated to making your stay easy and enjoyable. Under new ownership! Ideal for larger families or small groups who are looking for a little extra while on holiday or just passing through. These two bedroom apartment stand-alone units offer a little more in the way of space, privacy and peace. This unit sleeps up to 6 people, with a Queen bed in the living area, one King bed and a single bed. Brand new bathroom & kitchen which has a full oven, fridge/freezer, microwave & dishwasher. Great for families. Our spacious self-contained units are ideal for families or small groups who are looking for self-contained accommodation while on holiday or just passing through. Our group units are one room units which sleep up to six people using one double bed and 2 sets of single bunks. Our cosy tourist cabins are affordable style accommodation, perfect for guests happy to use the communal kitchen and bathrooms. Our standard cabins are a clean, affordable style of accommodation ideal for those travelling as a couple or small families. If you want to experience the freedom of camping we have powered sites tucked in throughout the park under our beautiful leafy canopy. If you want to experience the freedom of camping we have a number of unpowered sites spread throughout the park under our beautiful natural canopy. Our new BBQ complex, complete with 3 x free BBQs, ample picnic tables, outdoor fireplace and kitchen makes BBQs easy in Summer and Winter. Our beautiful heated outdoor swimming pool is open all year round! We have 2 private spa pools that are also available for those in need of a soak on those cooler Winter nights. We have just completed an exciting new area for kids and kids alike. Bring your tennis rackets and basketball with you this Summer holiday and enjoy a game or 3 on our new courts.